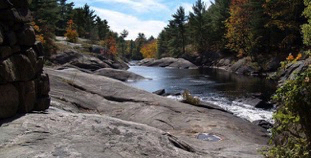 GENERAL INFORMATION The Canadian Shield is the largest of Canada's 6 physical regions. This area completely surrounds the Hudson's Bay in the shape of a horseshoe. It includes the Northwest Territories, Nunavut, Quebec, Alberta, Saskatchewan, Manitoba, Ontario and Newfoundland and Labrador (Labrador only). It mainly is rock that was once mountains millions of years ago. Through the process of erosion, water, ice, glaciers from the Ice Age, and wind wore down this rock so that it became flatter. Over those millions of years, rivers, rapids, lakes and valleys have been carved out by the forces of nature. All these beautiful sources of water add to the tourism and recreation (camping) industry but at the same time it made it difficult to create a transportation system there. 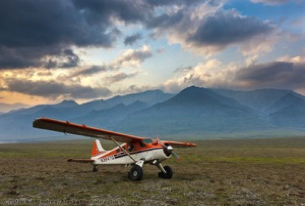 In the northern areas of the Shield bush planes are still commonly used to get around. It is amazing to see how powerful and forever changing mother nature really is. Imagine holding a tall piece of wood and using chisels and sandpaper, you could certainly change the look and the shape of that wood in no time. Mother Nature acts just like this with the Canadian Shield (except this happens over millions of years). When all of the erosion was finished, the rock was very close to the surface. As a matter of fact there isn’t a lot of depth to the soil. Trees like the fir, pine and spruce love it here but the shallowness of the soil wouldn't work for plants that have a deep root system. This is also an area where you couldn't survive very well as a farmer. Farmers need more soil, so if you plan to farm, then either move out west to the plains or the cordillera, further south or to the St Lawrence, Great Lakes region. Besides, if you don’t like cold climates, the Canadian Shield is not for you! As I mentioned earlier, the Shield surrounds the Hudson's Bay. The Bay is huge and transportation of resources such as forestry, minerals and other goods and services should be quite simple. Unfortunately the Bay freezes up for 6 months of the year. So transportation during the winter months is now more limited. The Early Explorers and Fur traders found this out the hard way. Check out Henry Hudson as one of the early explorers in Canada. As a result of looking for other water sources and also following established fur trading routes, many small cities, towns and settlements have spread throughout this region. Because of this, the population is lower in these areas of Canada because of the climate, landscape as well as the transportation system. Furthermore, the isolation of these areas of population has caused these communities to rely a great deal on the resources that solely surround their community. It is always good to have a resource at your back door but if that resource runs out, then your future doesn't look very promising. 1) Furs - from fur bearing animals (hunting and trapping is still a large industry). 2) Minerals - this makes a lot of sense because the Shield is solid rock. Canadians extract copper, gold, nickel , zinc and lead from this area. 3) Hydro Electricity - again since the Shield surrounds the Hudson's Bay and there are many rivers in this area, a great deal of electricity is generated for Canadians as well as for our neighbors the U.S.A. 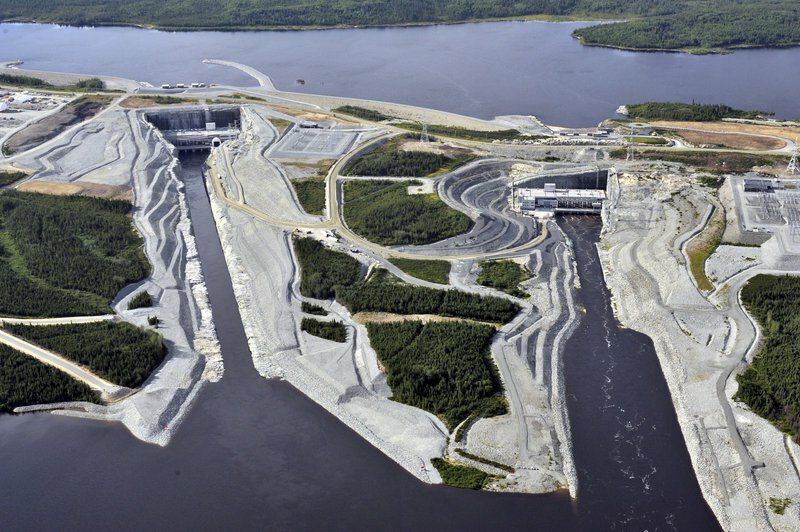 Check out the James Bay Hydro-Electric Project. The immensity of this project alone demonstrates the value of the Shield to the Canadian people and our growing economy. 4) Forestry - remember those fir, pine and spruce trees. Some of them are turned into newspaper. It is really cool to think that the morning newspaper that you've just read began in the Canadian Shield. 5) Tourism - of course the rugged beauty of the trees, lakes, rivers, rapids and valleys certainly leads to recreation and tourism. Many foreigners view Canada as a place to get back to nature - to get away from the hustle and bustle of the city. Well in this case .... they are right!!! You can fish, camp, hike, hunt, swim, water ski, canoe, boat, horseback ride, cycle, go on nature walks, etc!. The Canadian Shield like the other physical regions offers Canadians more and more resources for ourselves, our developing economy and for future trade links with people all around the world. 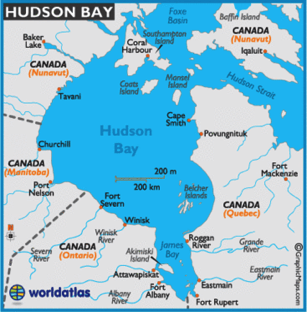 A huge inland sea called Hudson Bay extends into the heart of Canada, and wrapped around this bay is a rocky region called the Canadian Shield. 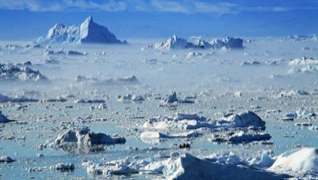 Canada's largest geographical feature, it stretches east to Labrador, south to Kingston on Lake Ontario and northwest as far as the Arctic Ocean. 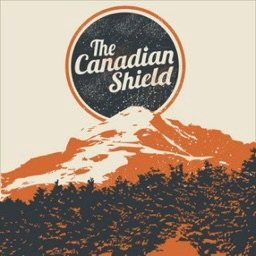 The Shield is considered to be the nucleus of the North American continent and is made up of roots of ancient mountains. Its gneiss and granite rocks are 3.5 billion years old, three quarters the age of the Earth. Scraped by the advance and retreat of glaciers, the Shield has only a thin layer of soil that supports a boreal forest of spruce, fir, tamarack and pine. The region is a storehouse of minerals, including gold, silver, zinc, copper and uranium, and Canada's great mining towns are located there: Sudbury and Timmins in Ontario, Val d'Or in Quebec, and Flin Flon and Thompson in Manitoba.